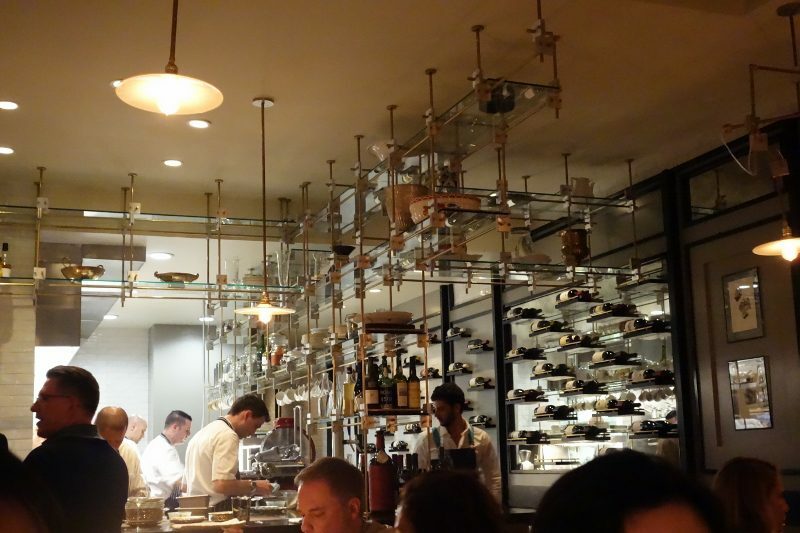 Curtis Stone opened up his tiny little restaurant Maude in Beverly Hills at the end of January. I called to make a reservation as soon as I heard that it was opening and the first reservation I could get was a 9pm in March so I grabbed it and waited in anticipation for the date to arrive. 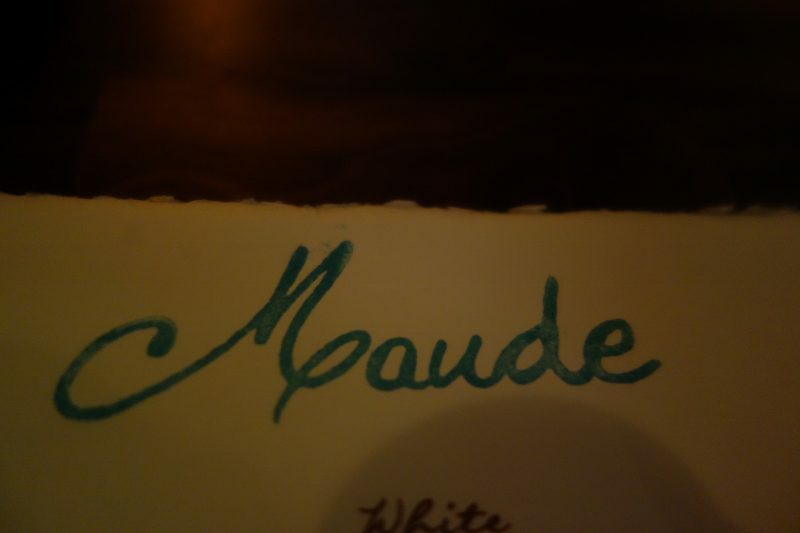 Maude is a fairly small restaurant that has approximately 25 seats. The kitchen is open and no matter where you sit, you can watch the cooks at work. In a way, it feels like you are going to a friend’s house for a dinner party as the space is intimate and charming, like an intimate chef’s table experience. 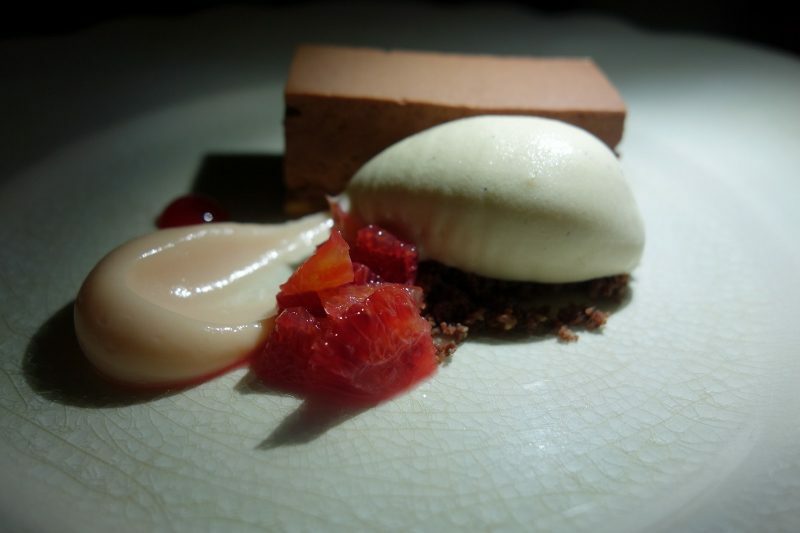 What I love the most about tasting menus is that you don’t have to do any thinking about what you want to eat. The chef makes all the decisions, surprising you with what will be served for that sitting. 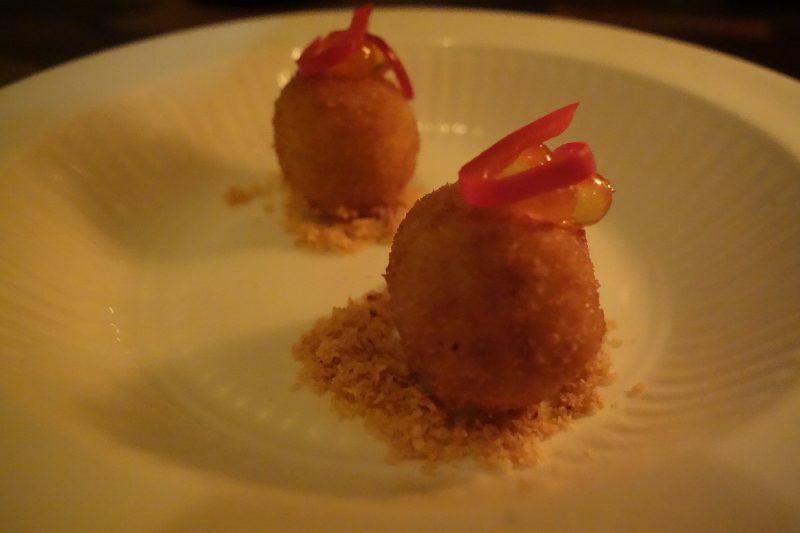 Maude offers a 9-course tasting menu for $75 or $80, depending on the month. 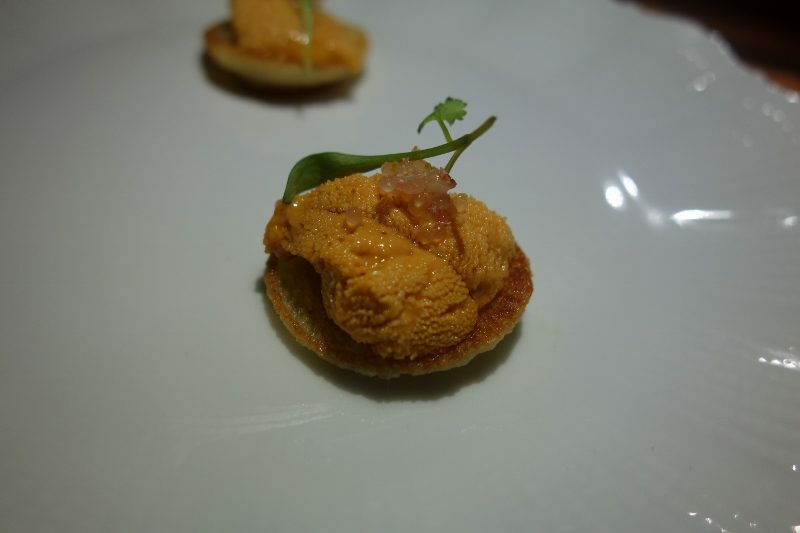 Each month, Chef Stone features a different single ingredient, driven by the season. 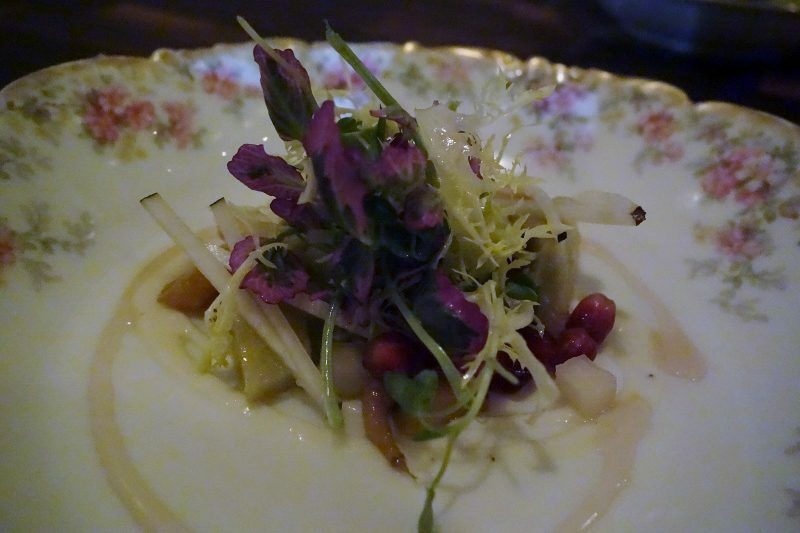 As we went in March, the theme for the month was Artichokes. As I absolutely love artichokes, I was especially excited for the meal. 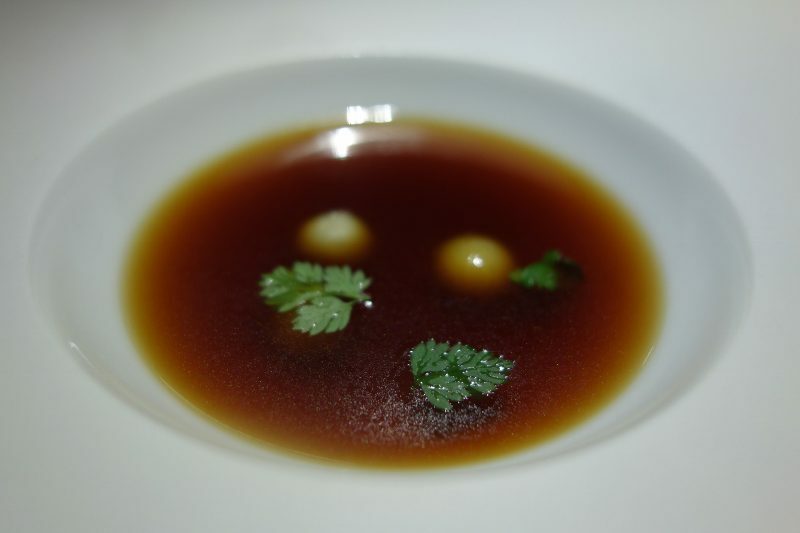 This single ingredient is then integrated into each and every one of the 9 courses. Artichoke Consumme – A lot of artichokes have to be boiled down to make a soup that had a depth of flavors that gently awoke our palates. Artichoke Croquette – croquettes filled with artichoke cream sauce. 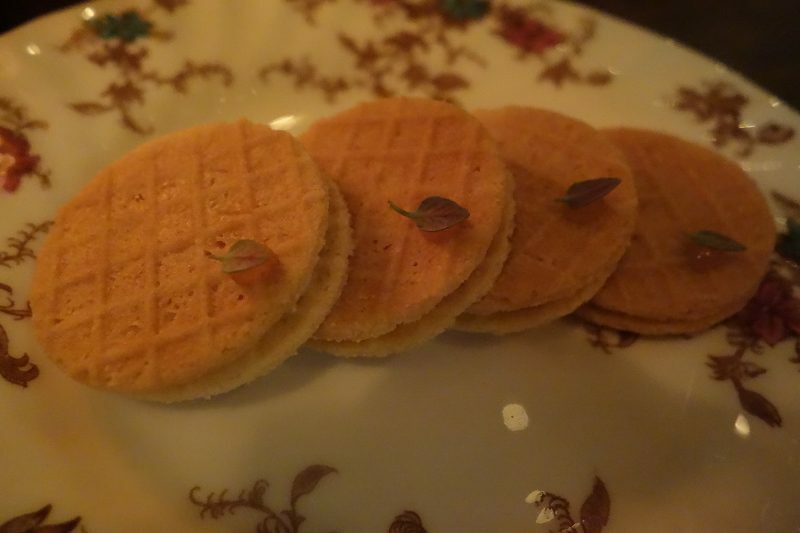 We were warned to eat these in one bite as they burst in the mouth. 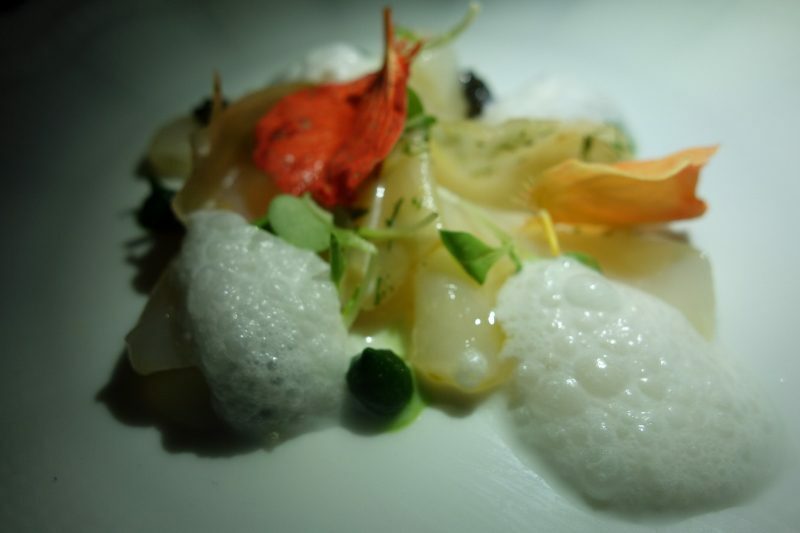 Scallop Crudo – A delicate and beautiful plate of thinly sliced raw scallop, caviar, fennel, Nasturtium flowers and tahini foam. 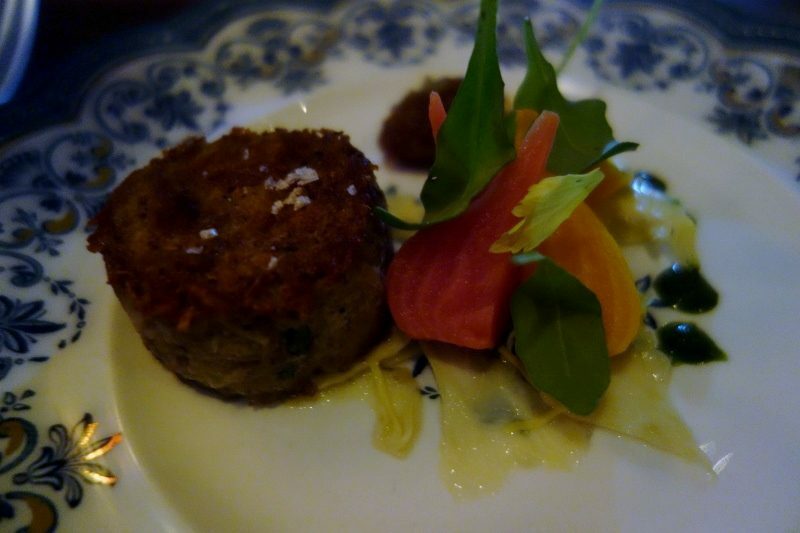 Pork Rillettes with pickled beets, mustard greens and herb pistou – The meat was tender with a crispy exterior. The tang of the pickled beets and the sweet onion jam were in perfect harmony with the meat. 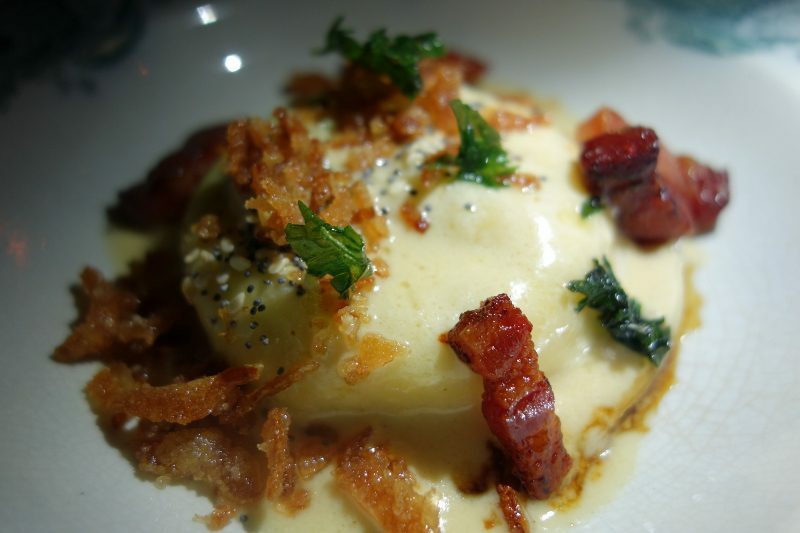 Bacon & Eggs – A raviolo filled with duck egg, artichoke ricotta and an everything bagel crumb, as well as Nueske applewood-smoked bacon and onion jus, stinging nettle, sesame seeds, poppy seeds that come through on the finish, this was hands down the best dish of the night. There is not a single dish I would replace on this menu but I would have added a second serving of this one! 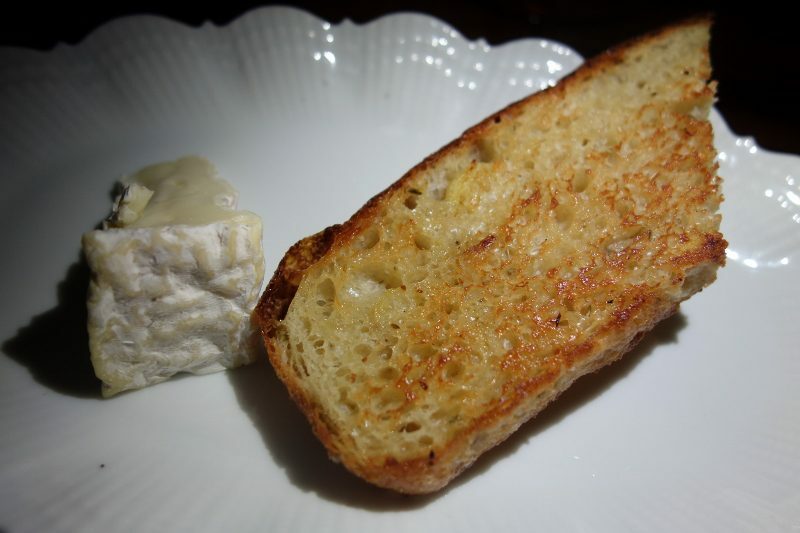 Camembert and Smoked Artichoke Focaccia – The focaccia, with tiny chunks of artichoke in it, was crispy against the creamy cows milk cheese. 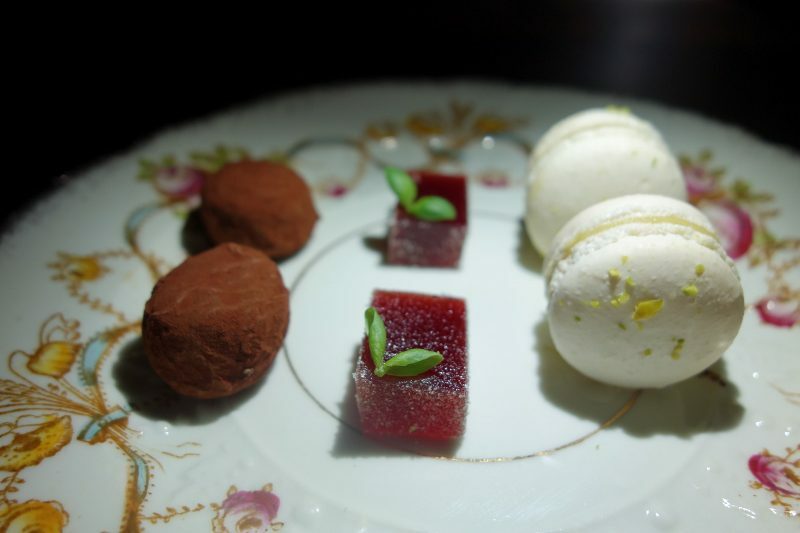 Mignardises (kumquat macaron, strawberry gelee, expresso chocolate truffle) – A lovely end to the meal and the only dish that didn’t have artichoke as an ingredient. 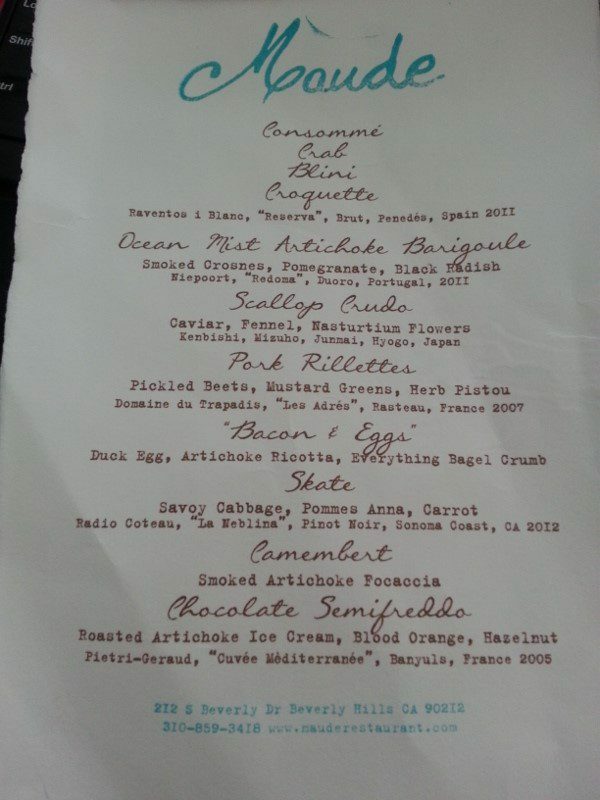 Once our meal was finished, we were presented with the menu so that we could recall everything we had eaten. We were also sent home with Lemon Curd and Shortbread Cookies to enjoy the next day. 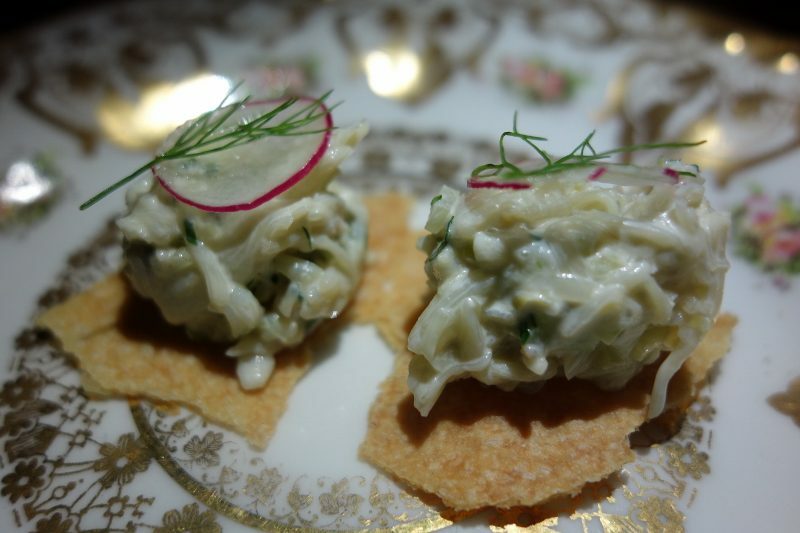 Whether the artichoke was the center of the dish, or played a subtle role, each dish was extraordinary, making us anticipate the next one with excitement. 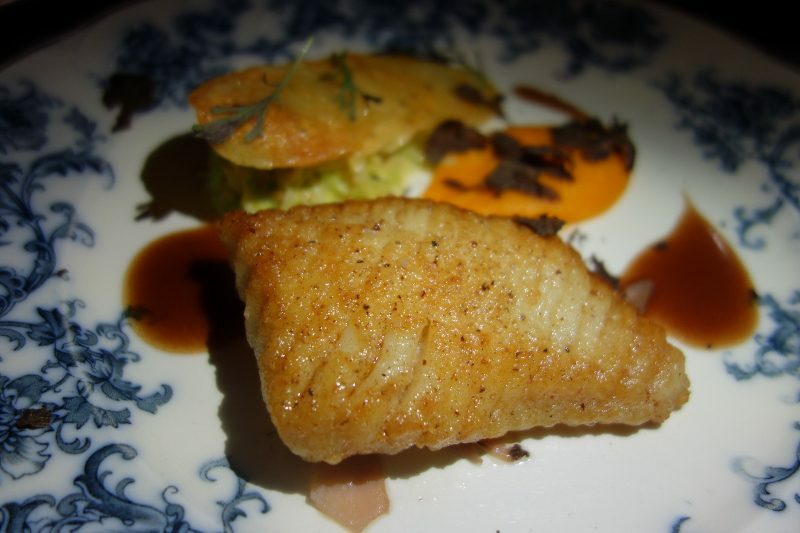 This entry was posted in Food and tagged artichoke, Beverly Hills, Curtis Stone, food, Los Angeles, Maude, restaurant, seasonal ingredients, tasting menu by Allison Levine.